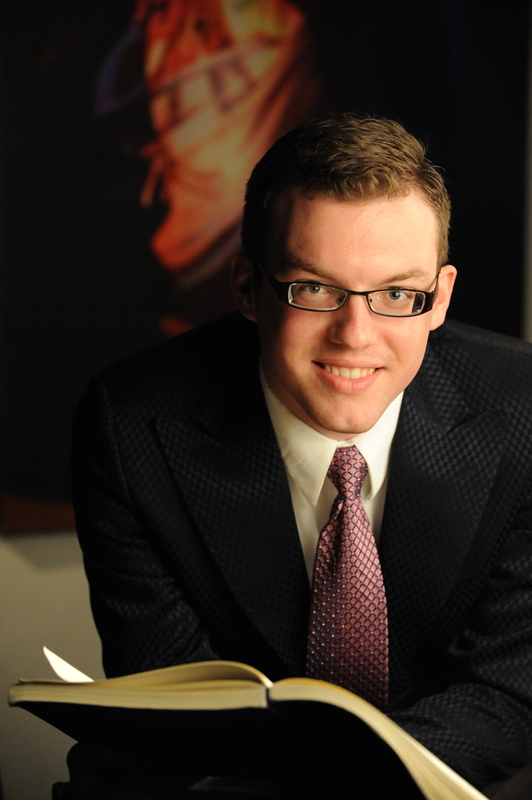 Giving his Carnegie Hall Debut at age 17, Patrick Kreeger enjoys a versatile career as both a pianist and organist. A native of Jacksonville, Florida, Patrick began his music studies at age three with Barbara Broach (piano) and later with Dr. Gerson Yessin, the founding chair of the University of North Florida Music Department. Patrick began organ lessons at age 12 with Jim Wood. Upon moving to Greenville, North Carolina in 2004, Patrick furthered his piano and organ studies with Dr. Henry Doskey and Colin Andrews, respectively. At age 18, he was was awarded a full-scholarship to attend the prestigious Curtis Institute of Music in Philadelphia, studying with Alan Morrison and Susan Starr. Patrick maintains a busy performance schedule. In demand as a soloist and chamber musician, past and recent seasons included performances at Carnegie Hall (NY); Benaroya Hall (WA); Meymandi Symphony Hall (NC); Verizon Hall (PA), Dohnanyi Hall ( FL), Augustana Lutheran Church (CO), St. Patrick’s Cathedral (NY), Cook Hall (St. John’s, Newfoundland), Peterborough Cathedral (U.K.), Musee d’Augustin (France), as well as numerous other venues in the US, UK, France, and Denmark. Extensive chamber music coaching with Pamela Frank, performances in masterclasses with Dame Gillian Weir, Vincent Dubois, Ludger Lohmann, Peter Frankl, Joan Lippincott, Robert McDonald, Frederic Blanc, John O’Conor, and Nelita True. Kreeger gave his symphonic debut in April 2008, performing Sergei Rachmaninoff’s first piano concerto under the baton of Maestro William Henry Curry and the N.C. Symphony. He has been guest soloist with the Musica Sacra Chamber Orchestra (CO), the Barton College/Wilson Symphony Orchestra, Symphonicity (Virginia Beach Symphony), and SUNY-Purchase Conservatory Orchestra. Patrick’s stylistic playing has garnered much notice and praise in numerous competitions. A first-prize winner in both the American Protégé International and Bradshaw & Buono International Piano Competitions in February 2009 and May 2007, respectively, he also earned first place in the N.C. Symphony Concerto Competition in April 2006. The Bronze Medalist of the 2009 Seattle International Piano Competition and the winner of the Chopin Award, he won first prize in the 2009 Augustana/Reuter National Organ Competition. He was also one of seven national finalists in the Music Teachers’ National Association Senior Piano Competition in March 2007. In addition, he won first place in both the East Carolina University Piano Competition and the East Carolina University Organ Competitions in March 2007 and March 2008, respectively. As a church musician, he is the Director of Music & Organist at Cheshire United Methodist Church in Cheshire, CT. Following Curtis, Patrick attended Yale University earning the Robert Baker Scholarship and master’s degree under Martin Jean. He resides in New York City, currently enrolled at The Juilliard School, studying with Paul Jacobs as a C.V. Star Doctoral Fellow.